Four people were rescued after a partial collapse of a building in Northern Liberties early Thursday morning, 9/13. It happened 4:30 a.m. on the 700 block of North 7th Street. Part of the three story building shifted and dropped down. No one was on the first or second floor, but three people were trapped on the third floor because windows and doors had shifted. Crews were able to rescue the two men and one woman. A fourth person was found in an adjacent building and rescued. They were all evaluated at the scene. PECO, PGW, and the Department of Licenses & Inspections responded to the scene. 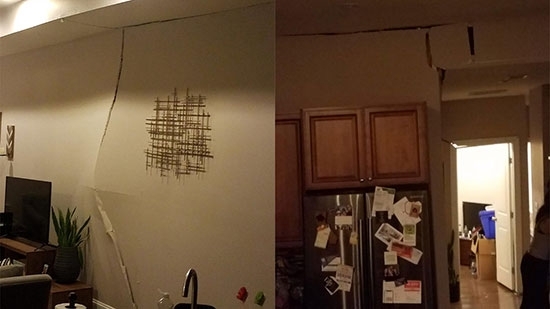 Cracks can be seen on interior walls. There is no word yet on a possible cause of the collapse. The building will probably have to be demolished. Upper Darby Police are searching for an escaped prisoner in Secane, Delaware County. 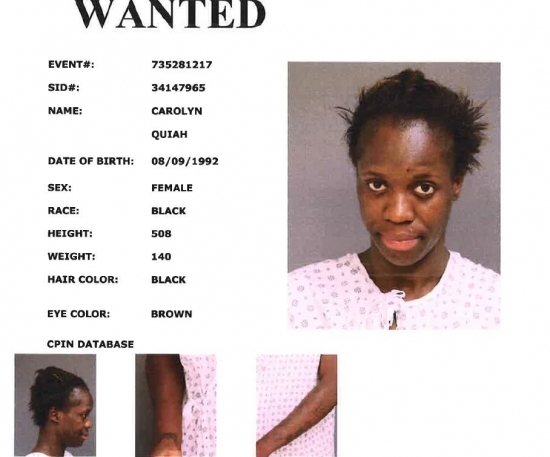 27-year-old Carolyn Quiah escaped around 3 p.m. from constable custody at the Secane District Court. She was last seen in the area of Providence Road near Green Lane. She is described as a black female, 5' 8", 140 lbs, wearing a white halter top. If you see her, contact 911. See police flyer below. Eddie Wright, a self-described preacher, was sentenced to 27 years in prison for his role in the "Basement of Horrors" case. Wright was a co-conspirator in the Tacony dungeon. Four malnourished and tortured adults were discovered locked in the basement of apartment in the Tacony section of Philadelphia in 2011. The ringleader, Linda Weston, pled guilty and received a life sentence in 2015. Another co-conspirator, Nicklaus Woodard, was also sentenced this week to 27 years. Wright first joined up with Weston in Texas in 2009. They would confine and control mentally and physically disabled persons in order to steal their government benefits and Social Security checks. They moved to Florida and then Philadelphia to avoid detection from authorities.